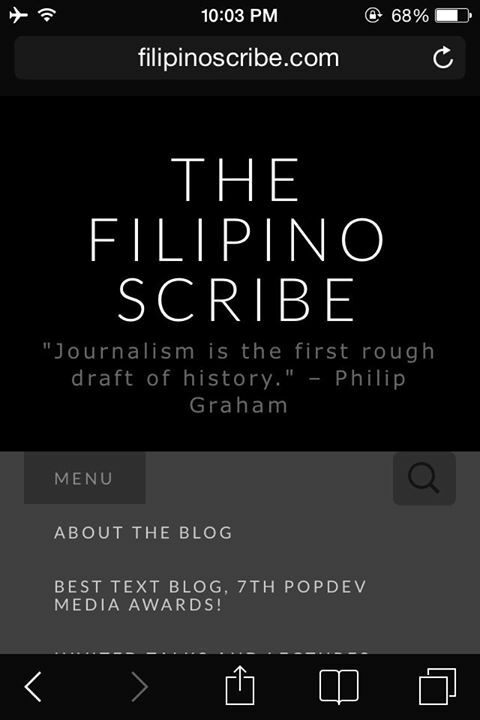 This entry was posted on Saturday, April 19th, 2014 at 11:29 pm	and tagged with bluehost wordpress, the filipino scribe, upgrade wordpress blog to website, wordpress self-hosted, wordpress.com to bluehost, www.FilipinoScribe.com, www.rightonthemark.wordpress.com and posted in hodgepodge, personal matters, philippines. You can follow any responses to this entry through the RSS 2.0 feed. « Mar Roxas, nagmura dahil sa limang libong piso?